Allocation : 2 Pumps, 1 Offroad Vehicle and Trailer. Daf LF PK63FUH was seen on Winter Hill, 22 July 2018. 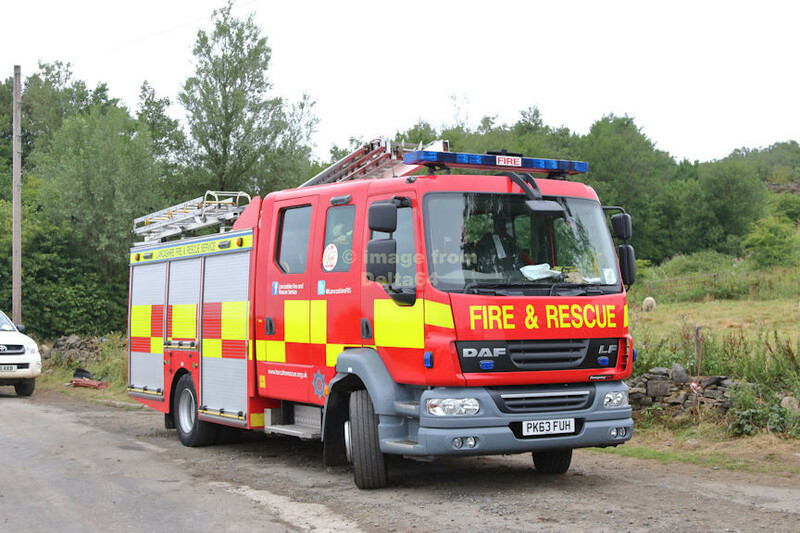 Daf LF PO61BBE was seen on standby at Lancaster Services, 6 December 2015. 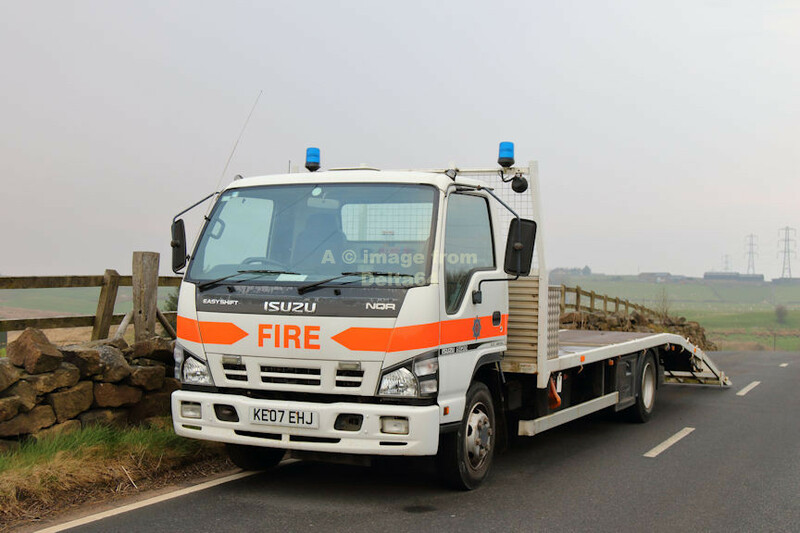 Isuzu KE07EHJ was seen at a moorland fire in Turton, 7 April 2019. 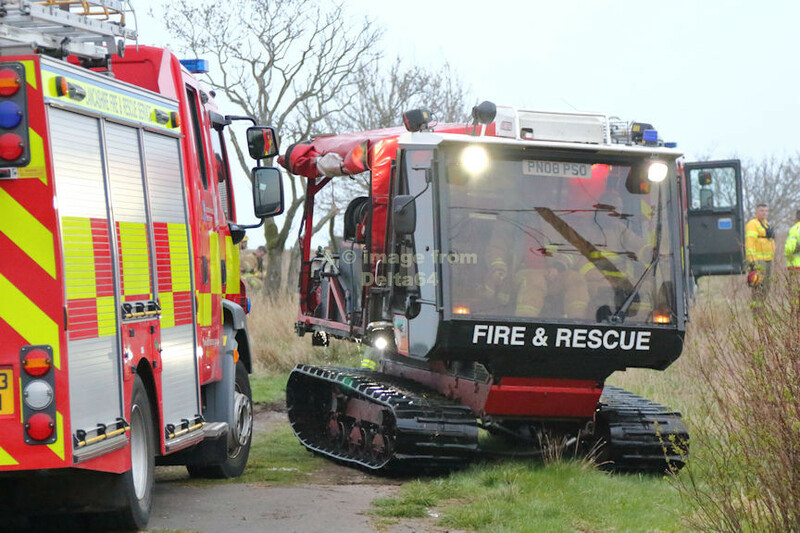 SoftTrak vehicle PN08PSO was seen coming of the moors in Turton, 7 April 2019.